Last month, our specialty menu featured Jack Creek Farms’ natural honey. But with almost 600 fruit trees, over 40 varieties of heirloom tomatoes, 60 varieties of pumpkins, and 40 varieties of baking winter squash grown on their Highway 46 farm, we had to let you sample more of their homegrown provisions—so we’ve turned to them yet again as our featured food artisans! Click here to learn more about Jack Creek Farms in our previous blog post. 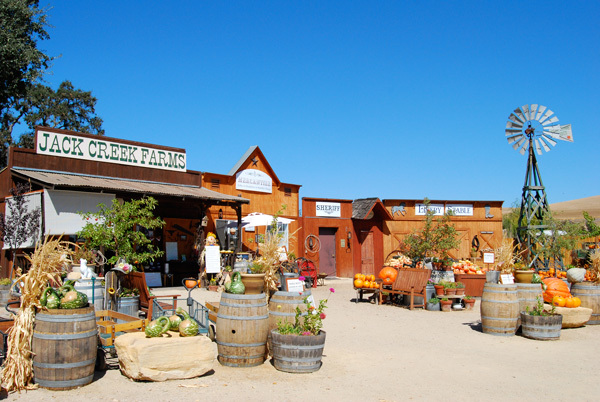 With roots in Paso Robles dating back as far as 1890, Jack Creek Farms has been a part of Paso Robles history just as long as the Paso Robles Inn—so taking the time to read up on this local landmark is well worth it. As to be expected, Jack Creek Farm’s crops change with the seasons. And every year, the family tries to plant new crops to learn which will perform best in their soil and climate. 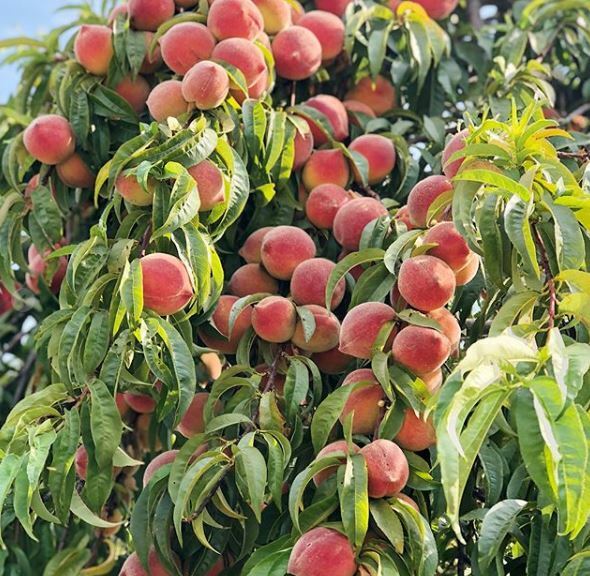 Currently, there are seven varieties of peaches being grown at Jack Creek Farm’s, including Babcock peaches, Champagne peaches, Donut peaches, Elberta peaches, Frost peaches, Rio Oso Gem peaches, and Santa Barbara Peaches. To learn more about the unique differences between these tasty fruits, click here. Right now, the Donut peaches and Elberta peaches are ready for harvest! 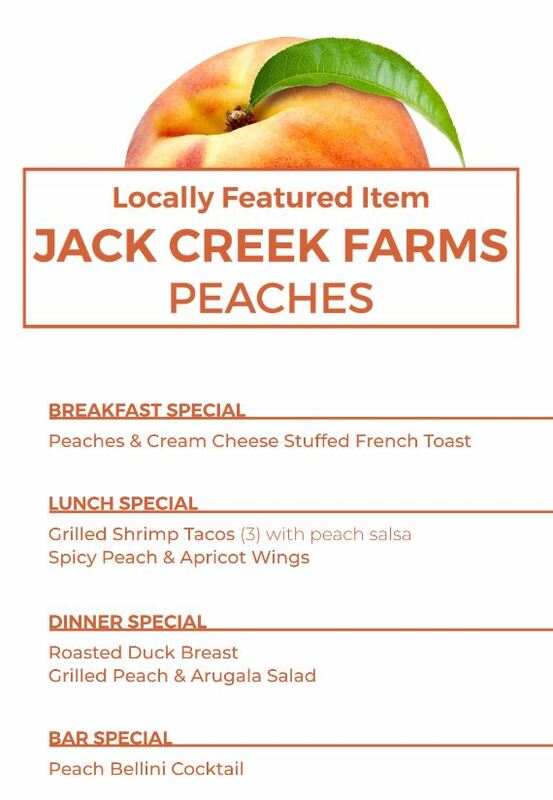 You can stop by their U-Pick Garden to pluck peaches straight from the branch from 10 AM to 6 PM Thursday-Monday, or get a taste at The Steakhouse with the specials below. 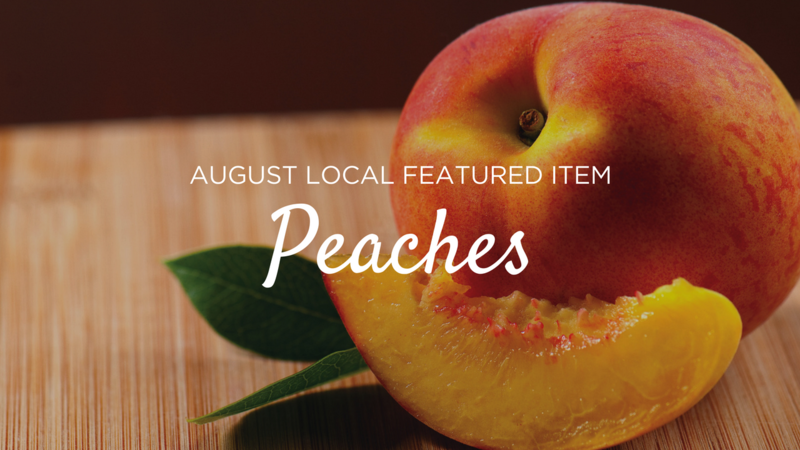 We hope that you’ll stop by The Steakhouse to get a taste of these sweet peaches this August. Indulge at breakfast with French Toast stuffed with peaches and cream cheese, or stop by for Grilled Shrimp Tacos with peach salsa at lunch. Savor the flavors in our dinner specials featuring roasted duck breast on confit fingerling potatoes and topped with peach chutney or opt for something on the lighter side with a Grilled Peach & Arugula salad made with seasonal vegetables. Not hungry? No problem! Enjoy our Peach Bellini Cocktail on the patio for a perfect summer evening. View the entire menu here. Reserve your table now!